The brilliance, wit and charm of the Bar-jutsu team. OK…Bar-jutsu also offers Bar-jutsu Academy, specializing in on-site training classes designed for bar bouncers, security personnel, or anyone interested in self-defense techniques to ensure their night out is safe as well as fun. This training is designed for those who are not practitioners of the martial arts. We typically conduct classes in various dojos in our hometown of Pittsburgh PA, but offer classes on client sites for those in other markets. Contact us directly for information on individual or group classes. 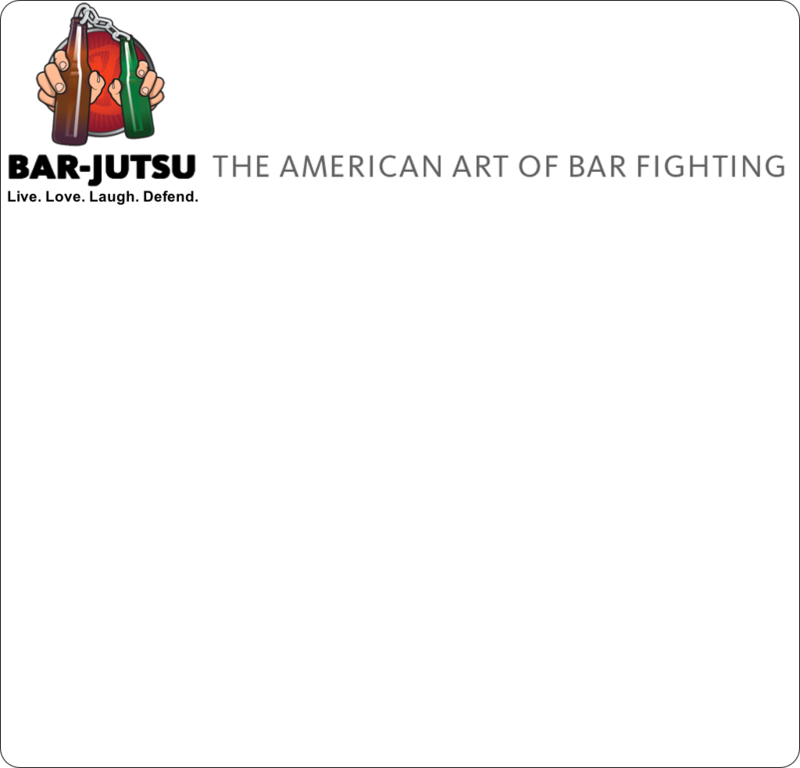 In 2014, Bar-jutsu released the book “Bar-jutsu: The American Art of Bar Fighting”. This book takes Bar-jutsu’s light-hearted approach while providing self-defense tips, maneuvers, techniques and general advice useful in public settings. The Bar-jutsu team loves to travel. We participate in events sponsored by bars, which typically include some basic training and laughs for patrons. To help the cause, we bring along The Bar-jutsu Girls and The Bar-jutsu Players (costars of our book who help us demonstrate maneuvers on site). Contact us directly for information on scheduling an event.